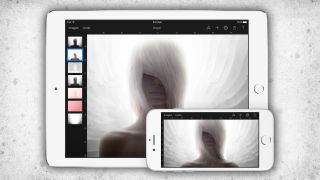 Hot on the heels of Apple's iOS 9 update, Pixelmator has announced version 2.1 of its mobile image-editing app. Pixelmator is an interesting and affordable Photoshop alternative with both desktop and mobile versions, offering layers, adjustment and effects tools in a modern, streamlined interface. The new iOS 9 version comes complete with support for multitasking, with iPad Slide Over and (if your iPad supports it) Split View. With iOS 9 and Pixelmator 2.1 you can work on your images while checking your notes or browsing the web. It even works well in an iPhone screen, where you can create Photoshop-style composite images with layers. That's not the only change, though. Pixelmator 2.1 now supports 8K images (up to 8,000 pixels wide) or 50 megapixels, both on iPhone and iPad. It can now work directly with the Apple Photos app too, with the ability to open images in PIxelmator from the edit mode. Using it this way offers a smaller set of tools, though, and is limited a single effect at a time. It also saves the new version 'over' the original in your Photos library, a rather annoying restriction in Photos itself – although it is possible to revert to original image if you want to. You can, however, launch Pixelmator separately and then browse your Photos library to find the image you want to work on. This unleashes the app's full set of tools, and it also allows you to save a new copy back to your Photos library. Pixelmator can also use iCloud to make images available everywhere. Pixelmator also comes in a Mac desktop version, bought separately. You can use Pixelmator for regular exposure and color adjustments, cropping and retouching, and also a tool for adding retro effects to your pictures using a clever 'rope' gadget for customizing and tuning the results. Pixelmator can also be used as a rather effective little design tool for creating posters, illustrations or art, and supports document hand-off via Bluetooth between Macs and iOS devices. Pixelmator 2.1 is available now and costs £3.99/US$4.99 from the App Store.